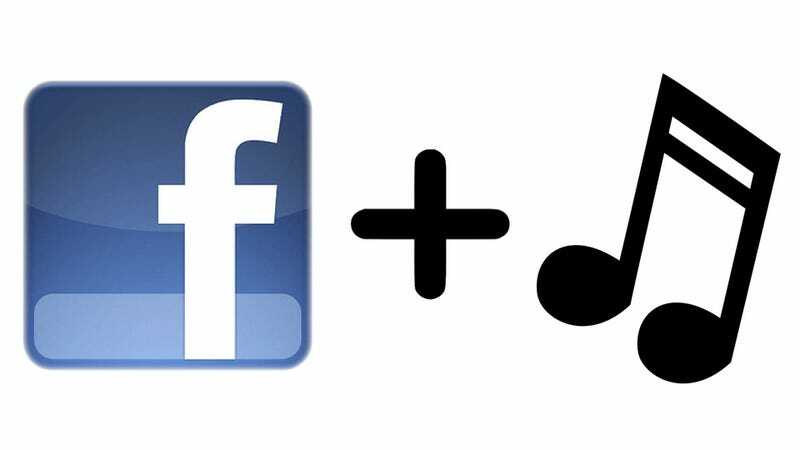 A source for TechCrunch has handed them a little more info about Facebook's planned new role as music's connective tissue. In a nutshell, you'll be able to share what you're streaming across whatever service, be it MOG or Spotify, you use. That's huge. The new service—rumors have it as Facebook Vibes—will essentially Last.fm-style scrobble your listened-to tracks from their partners MOG, Spotify, and Rdio, and slap the information on your feed. Your friends can then listen to that same song on whatever streaming service they choose. It'll be totally app agnostic; you needn't sign up for Rdio if you're totally enamored with Spotify, and vice versa. There may be some songs lost in the mix due to differing partner catalogs, but if Facebook does this right they effectively turn into the greatest song discovery service ever and then some. Music will be part of the conversation in a way that it wasn't before. Facebook Music Coming September 22nd?